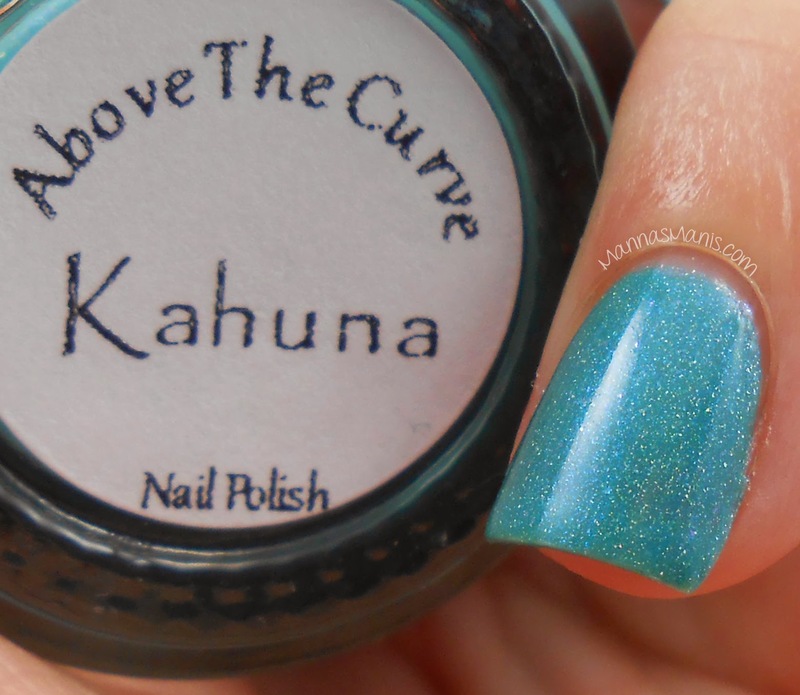 Kahuna is a beautiful teal holographic. I'm a sucker for a good teal polish. Flawless application. Shown here is 2 coats. 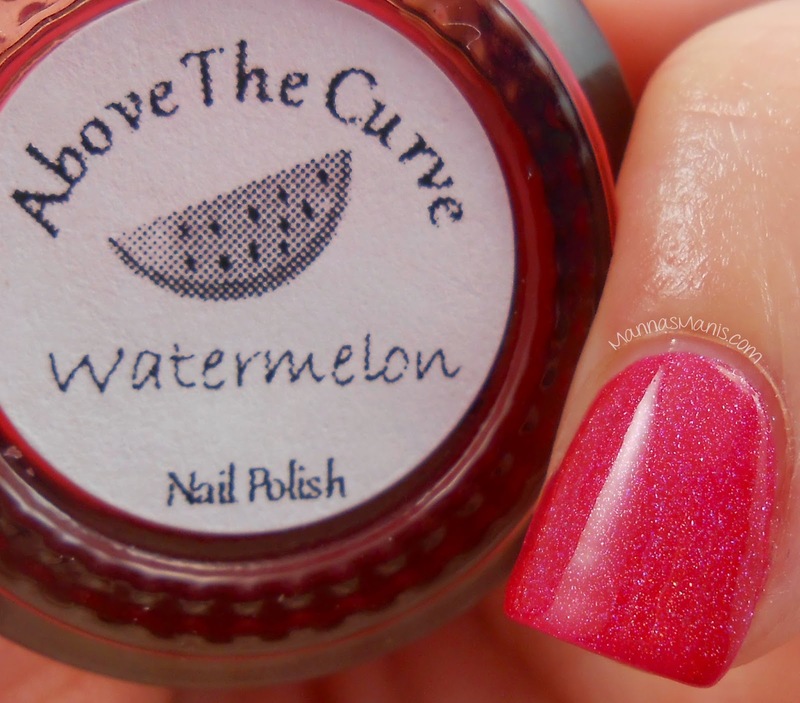 Watermelon is a red jelly with linear holo. I got this one because it's from their Jolly Rancher collection, and guess what my favorite Jolly Rancher is?! Flawless application. Shown here is 3 coats. I will be purchasing from Above the Curve in the future! You can purchase these from their Etsy when it opens back up. 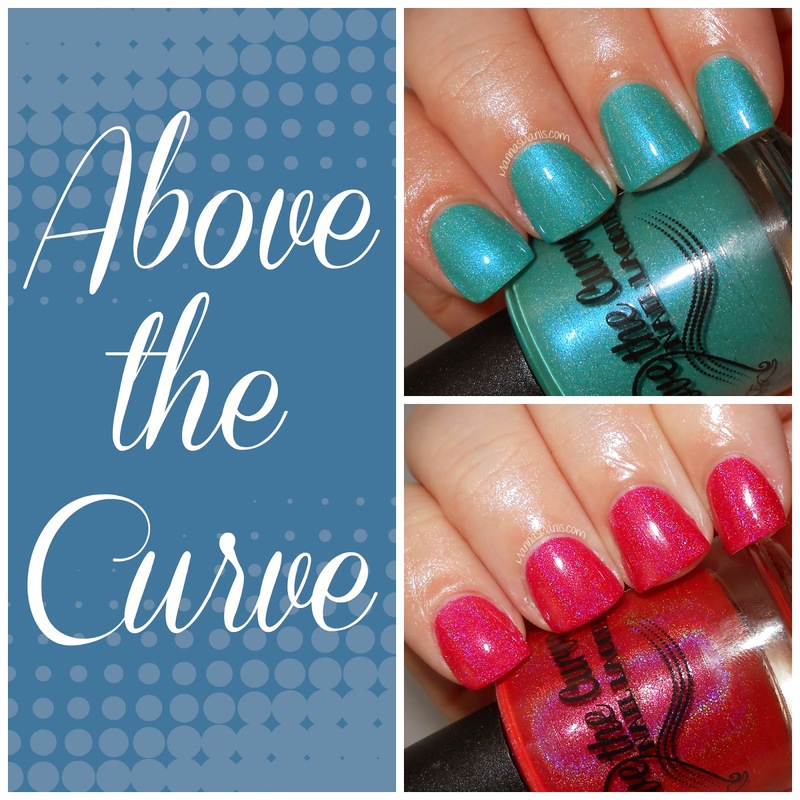 Have you tried any polishes from Above the Curve?